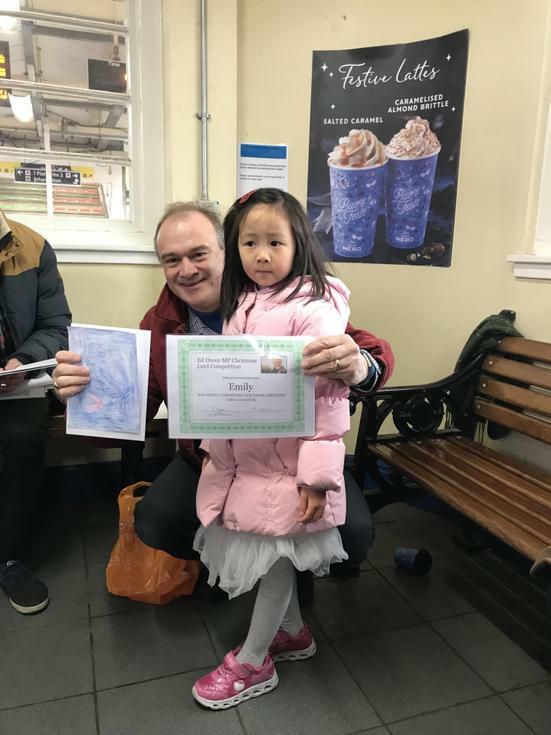 Congratulations to Emily in Yr1 whose Christmas card design was highly recommended by the judges for Mr Edward Davey's annual Christmas card competition. The theme was 'Peace at Christmas'. Well done Emily.